This past weekend I attended the Foodbuzz Blogger Festival in San Francisco, California, 2,700 miles away from my home. Traveling alone is always a meaningful, reflective experience for me, and over the next couple of weeks, I’ll be sharing vignettes that I hope are meaningful to you, as well. “Can you tell we’re tourists?” the gossamer-haired man asked the woman at the BART (Bay Area Rapid Transit) information desk after she guided him through the process of purchasing a ticket. He chuckled toward his smiling wife, and they walked over toward the ticket machine. I walked up to the information desk, wondering if I was about to annoy the attendant by asking a question she’d already been asked a hundred times this morning. Like everyone else I’d met so far in the Bay City, though, she cheerfully offered detailed advice. With some help from the tourist couple who’d gone before me, I successfully purchased a subway ticket and stepped onto the escalator to descend into the rumbling belly of the city. Oh. Montgomery? I looked at the map on the wall. I was trying to head to the Mission area to visit the gorgeous, iconic Tartine Bakery. Montgomery, however, was in the opposite direction — toward Oakland across the bay. Once again I turned to a stranger. “If I’m trying to get to 16th and Mission–” I began. “Oh, you’re headed the wrong way,” she said with a smile. “You needed the train on the other side of the tracks.” It suddenly dawned on me that of course the trains, like cars, would go in two different directions. I felt a little sheepish. “Oh, thanks! I guess it’s a good thing I realized after only one stop,” I said. “Definitely. You’re fine. You’re not under the water yet!” she replied. Her reassurance at once comforted me and alerted me to an alarming fact that I hadn’t considered about the trains: they go under the water. Under the San Francisco Bay. Seriously? I could hear my mom’s voice in my head saying, “What if there’s an earthquake while you’re under there? !” I jumped off at the next stop and changed trains, relieved that I didn’t have to go under the water until I visited Oakland later in my trip. I expected the bus driver to wave me onto the bus, impatient with silly tourist questions, but again, I was met with generosity: “Oh, you want the 22 that runs on the other side of the street.” He pointed to the bus stop across the way. A kind man at the bus stop confirmed the bus driver’s words, “Just wait over there and another bus will be along in a moment.” Buses, it seemed — like trains! and cars! and everything else, Julie! — ran in both directions. Since you might be wondering at this point, I promise I’m not dumb. I walked across the street, once again redirected by the kindness of others. Are you plowing ahead on your own power lately? Personally, I never grew out of that independent toddler stage of life — the one where you’re constantly insisting, “I’ll do it myself!” There’s nothing quite like being alone in a strange city across the country from your home to break you of that intransigence, though. Reach out for help when you need to. You don’t have to handle everything alone. And hey, you’re not under the water yet. 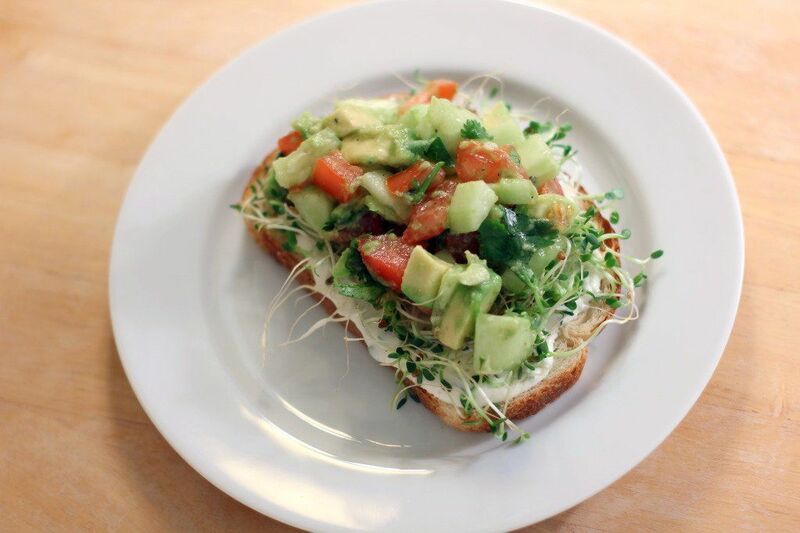 What better way to kick off my California posts than with a gorgeous open-faced California Sandwich? It’s just as healthy as it looks, but don’t worry — it doesn’t lack a thing in the taste department. In fact, it’s one of the best sandwiches I’ve ever made in my kitchen. It’s a fresh, tangy combination of flavors that you just feel good eating. I made it on sourdough bread, which I love — and how appropriate for all this talk of San Francisco. Was there a time in your life when you’ve had to break down and accept the help and kindness of others? 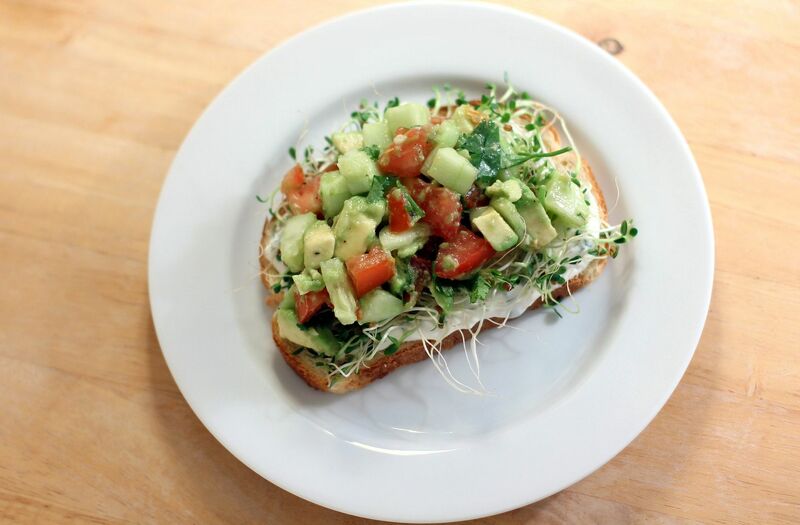 This quick sandwich is cool and refreshing. The bright California salad is comprised of tomatoes, cucumbers, cilantro, and avocado bathed in lime juice. It rests on a tangy chive spread and a thick, toasty slice of sourdough bread. I was pleasantly surprised at how delicious the finished product was considering how little effort went into assembly. 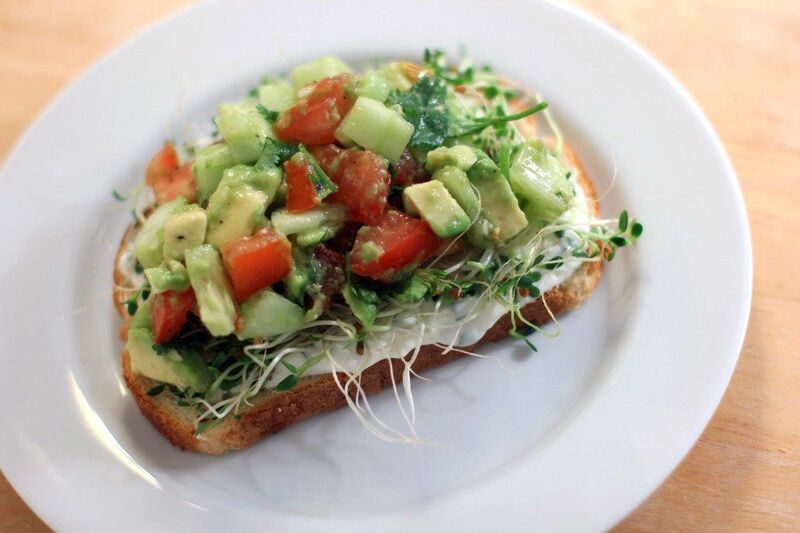 This sandwich would make the perfect lunch or light dinner. *This makes enough salad for 4 sandwiches, if you wanted to put a smaller amount on each, but I really heaped it on. I wanted more salad and less bread per sandwich. Yum! Make the chive spread by mixing the yogurt, mayonnaise, chives, salt, and pepper in a small bowl. Set aside. Toast the 2 slices of bread in toaster or in a buttered skillet over medium heat. Lay these out on a plate. Make the California salad by tossing avocado, tomato, cucumber, lime juice, cilantro, salt, and pepper together in a bowl. 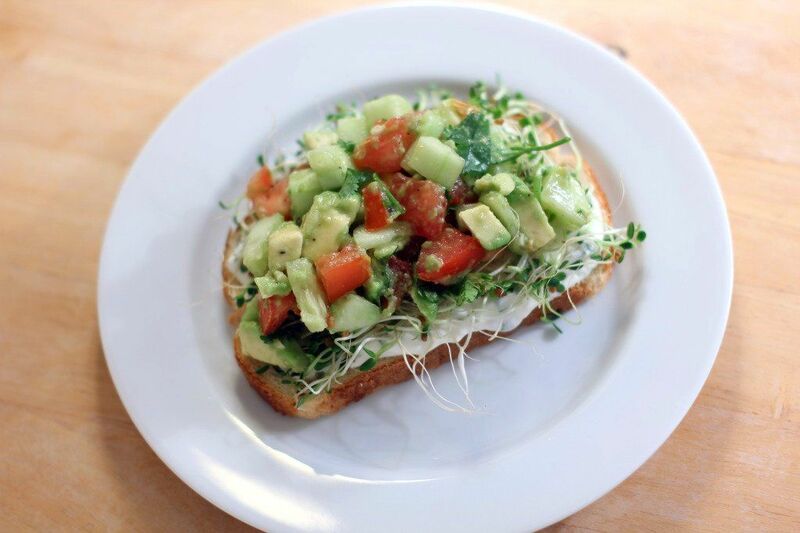 Spread each slice of bread with half of your chive spread and pile on half of the alfalfa sprouts. Then top with half of the California salad, piled high. I ate mine with a knife and fork and considerable enthusiasm. LOL! I’m so glad we got to hang out too 😀 I’ll make you CA sandwiches anyday! Oh yes, that sort of thing has happened to me many times! For example – trying to fly to SanFran last weekend. I tried to get on a plane going to Vegas. Oops. Thank goodness the RIGHT plane hadn’t taken off yet. ME TOO! I should’ve just come to your table at breakfast Saturday but I hated to interrupt! LOL. Thanks so much — that means a lot 🙂 I think the same of you. Love your voice! This sandwich looks so fresh and delicious! When I first moved to Boston, the Inbound v. Outbound trains confused me so much! And even though I’ve been living in DC for over 2 years now, I still double check to make sure I’m getting on in the right direction. Looking forward to hearing more about your CA trip! I’m so glad other folks had this trouble too! haha. Thanks so much, Mollie. I miss CA too, despite never having been there for longer than a week at a time. Such a fantastic place! Im pretty sure that if riding the subway hadn’t become a daily necessity at age 15, I’d be just as confused as you are! And sometimes, I still get on the train in the wrong direction. It happens. I’m so glad you got to try Tartine! Isn’t it amazing? I had it on my last trip to SF and basically swooned with every bite! This is the perfect sandwich to commemorate your trip! I’ve got an avocado on my counter and I think this is gonna be the perfect use for it! Thanks, Joanne — you’re gonna love this sandwich! It’s a keeper! P.S. Thanks for making me feel better about the subway. 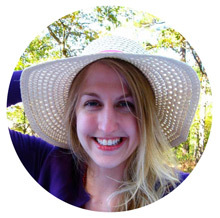 It was a tad embarrassing to be “that girl,” wandering around lost in the big city. Ha. First, what a delight to meet and chat with you! 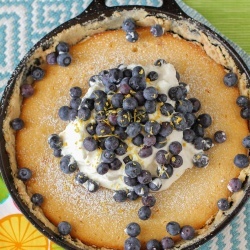 How in the world do you stay so slim, and bake so well? Would you believe, that all of my life, in my numerous times in San Francisco that I have never been to Tartine? I even went to school in SFO, and never ate there. Well, when I return in January (with my husband) I’m going to visit that bakery. Guaranteed. I love riding BART. My BFF lives across the water, in Dublin, so I’ve gone under the ocean many times. It’s wild, and I try not to think about it much. Before you know it, you’re in the heart of the city. I love San Francisco. I can’t wait to go back and relax. I sure was tired after the Foodbuzz weekend. So much running around! So great to meet you too, Debbie! I would totally fly back across the country to go to Tartine again — it was insane! And such a cute little place. Uh, yeah. I’m not entirely sure that I could go under the water. I might have to claw my way off the train before that happened. Creeeeeepy. I know what you mean! Totally terrifying, right?! I managed it though, later in the weekend. I was actually thinking as we went through the tunnel, “Wait, should I have taken a Xanax for this? !” (I take them to fly because of similar panic) LOL. Julie, I’m just gonna be honest here… I am blown away by your writing. I’m so drawn in by your story telling that I started to read it when my attention was being torn between watching one of the kids I nanny for and looking at your new post. I decided to put my phone away (before the baby ate it) and save it for my Muni commute (how appropriate). I just got lost in it and almost missed my stop. How also appropriate. Not to mention, I only had $1 and a $5 bill on my (the are is $2, as you know) and the bus driver made me ask people to break my $5. Embarassing! But people were really nice about it. One woman was like “I could give you $2, does that help?” Another girl told me to jusy ask him nicely for a courtesy trip, which ended up working! Anyway, I am so grateful that you are such an adventurous little traveler or else I might not have met you! Aw, Kiera, you are so sweet. Thank you! Writing (and baking, but I guess that part’s obvious) is my passion, so this comment means so much to me! It was great meeting you Julie. Nice post about your trip to SF. It’s nice hearing the story from your perspective. :-) Glad you made it to Tartine. Looking forward to seeing you next time you come this way. So thoughtful, observant and eloquently stated…as usual! Isn’t it nice when a city’s people are nice to visitors. You really want to linger and stay longer don’t you? 🙂 Sounds like you’re having a great time Julie! This looks very refreshing! Love this idea. Sounds super delicious! I think I’d add some bacon in there..
We live about 5 hours from SF and aren’t strangers to the area, but the last time we went (about 6 weeks ago) we got lost like 4 times because we forgot to bring along our atlas. Yeah, that was good times. LOL, it’s a hazard, isn’t it? I was glued to my map the entire trip 😉 Thanks, Jen! What a beautiful reflection on your trip.. I chuckled to myself because my friend and I had a similar BART experience when we first got to San Francisco. I think we had two times in a row when we realized we were going the wrong way and switched sides after one stop! That sandwich looks gorgeous and fresh! I’ll have to try it! Thanks for sharing! LOL! I’m glad to hear I’m not the only one who had this issue. 😉 Thanks, Megg! Even after living in the San Francisco Bay Area for seven years I still get weirded out that the BART goes under the Bay. I love the BART because I hate driving in San Francisco. That sandwich looks delicious! The public transportation was SO great! I think I’d probably sell my car if I lived there and just schlep things around on BART/MUNI 🙂 Thanks!